What was special about the weapons Kate carried on her missions? They were the creations of her brother, Jack Beaufort, a brilliant inventor who drew from the skills of others and combined them for startling results. The descriptions and technical drawings are similar to any number of pepperbox revolvers which were being produced at the time. What is different is outlined in the passages which record the operation of the pistols. These weapons were smooth, reliable, and as early as June 1850 had rifled barrels for excellent accuracy and double-action triggers. 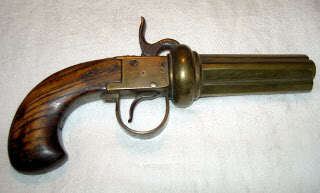 By March 1851 there is a reference to firing one of these handguns in a wind driven rain, so a somewhat water-proof housing and cartridge must have been developed. 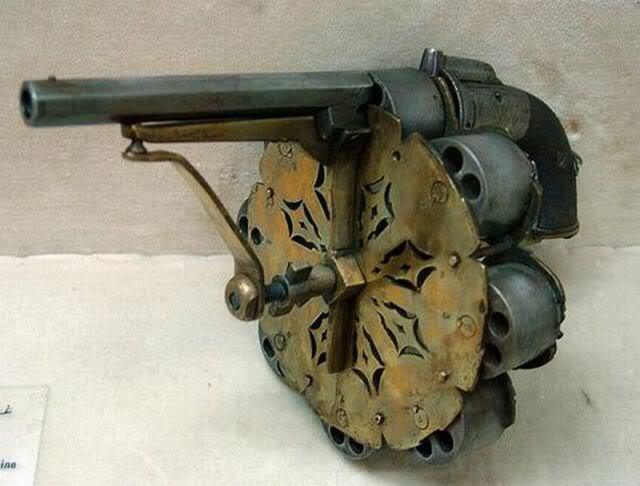 We know the early models had five barrels, but were soon replaced by six barrel versions, and with advancements there is a reference to small calibres and high muzzle velocity provided by using guncotton as propellant. Another point peculiar to Kate was her ability as an ambidextrous shooter, and she is given pistols specifically designed for the left and right hand. I would therefore have to surmise that the hammer was not top centre, but to the outside on these versions. Kate’s matching pair may have been similar to these photos but, of course, this is just the same weapon reversed and of only a four barrel model with an older style handle. 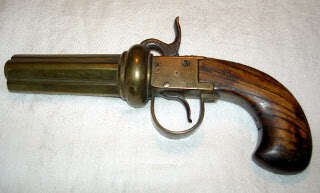 It would make sense for Jack to prefer a side hammer, because by 1852 he had developed a magazine which loaded from top centre and provided a further six shots. Kate’s brother produced weapons specifically for the Army’s High Command, and the operatives of the covert division. It’s understandable why the Secret Service would have a private contract agreement so the weapons couldn’t be tracked; there would be no record of purchases, no patents filed, no connections between the spies and the British government. Improvements would be kept hidden giving the operatives advantages over their adversaries. It isn’t surprising the military would have had secret advancements in weaponry which have never fully come to light; it’s the same today. Whether this is one of Jack’s creations couldn’t be confirmed. This all seems quite authentic. Awesome pix on this site. I read all your articles about handguns. Usually I have no interest in guns, but your articles on undergarments, hats, and duelling drew me in. I love your blog! I feel like I could put together a complete Victorian profile from these articles. 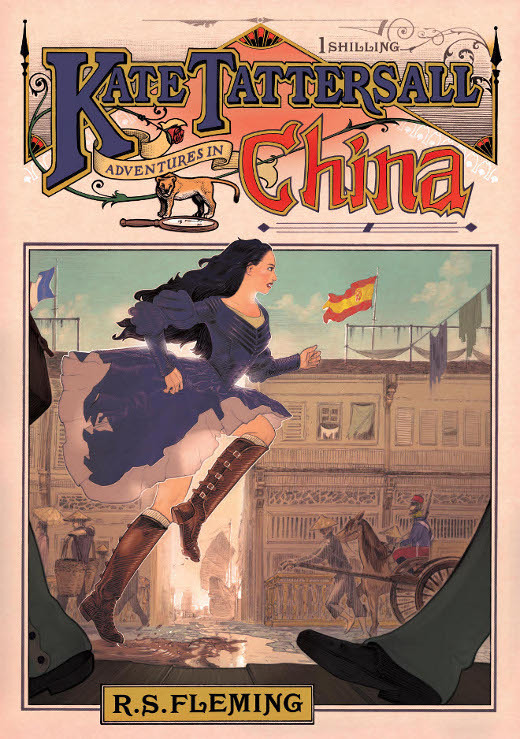 You make reading history fun!